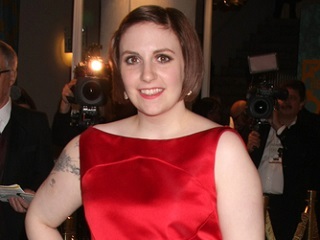 Andrea Peyser to Lena Dunham: Good Riddance! What Peyser really means is: I'm Jealous! The only problem with Peyser’s latest column is that Dunham has not kissed off Brooklyn and New York. Rather, she’s simply decided that when in Los Angeles, she’d prefer to stay at her own digs. Dunham, who spends several weeks in Los Angeles each year to work on her show, has bought a $2.7 million, 2,500-square-foot crib off LA’s Sunset Strip that once sheltered the late producer, TV actor and Breakfast at Tiffany’s movie star George Peppard Jr. It boasts three bedrooms, three bathrooms, a guest house, gardens, a saltwater swimming pool and the kind of hedge-guarded privacy that one can’t find in Brooklyn Heights, where Dunham has lived since December in a more than $4.8 million, four-bedroom condominium apartment with her rocker boyfriend, Jack Antonoff, 30. She also owns a $500,000, one-bedroom pad in the Heights. As long as Dunham never announces plans for a gender-reversed big-screen The A Team spinoff, a la Ghostbusters, we’re fine with this. Ditto if she ever decides to add a fourth Cabo vacation home in the George-Alma-Rande-Cindy hood.